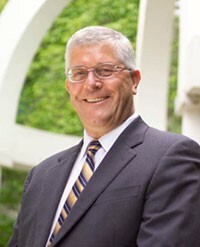 Dr. Max Blouw is Former President and Vice-Chancellor of Wilfrid Laurier University (WLU). Prior to joining WLU, he was Vice-President Research and Professor of Biology at the University of Northern British Columbia (UNBC). Dr. Blouw began his career as a biologist in the Department of Fisheries and Oceans in Winnipeg, and went on to teach biology at St. Francis Xavier University before joining UNBC in 1995. In 2005, Dr. Blouw received the Science and Technology Champion Award from the BC Innovation Council in recognition of his leadership. In 2009, UNBC renamed the Quesnel River Research Centre, the Dr. Max Blouw Quesnel River Research Centre, in his honour. Q: You served as Chair of the Expert Panel on the State of Science and Technology and Industrial Research and Development in Canada. You also served on the panel for the 2012 report Informing Research Choices: Indicators and Judgment. And most recently, this past January, you were a Workshop Participant on Learning Experiences Offered by Business Schools in Canada. What appealed to you about volunteering your expertise with the CCA, not once but three times? A: My attraction is to the important and challenging questions that shape our pursuit and interpretation of evidence, which is central to all CCA panels. I love complexity and trying to understand dynamic and socially-relevant issues. My hope is that, through such work, we can be smarter about how we, as a nation, deal with difficult things. In the case of the recent “State of Science and Technology” project my hope is that the evidence we have presented will stimulate deep analysis of policy options to enable far more effective wealth creation from our innovations in Canada, which are fabulous. The work on “Research Choices” was driven by the question of how to reliably achieve greatest sustainable impact from the significant investment that we, as a nation, make in research and development. And with respect to the business schools workshop, what is more important or exciting than asking: what are the most impactful ways to engage our students in lifelong and highly applicable learning? If there were easy answers to any of these questions, and if they weren’t important to our progress as a prosperous nation, I probably would not be as ready to volunteer. I love this work, and particularly getting to know the enormously talented individuals with whom I have analyzed, debated, and tried to resolve these issues. This work probably isn’t for everyone, but for me it has been a privilege and a deep pleasure. Q: With regards to the latest report for which you were Chair, Competing in a Global Innovation Economy, what do you think people will be most surprised by and why? A: My sense is that people will be surprised by the apparent discontinuity between our faltering national commitments to the underpinnings of an innovation economy in the face of the continuing prosperity that we enjoy. I think this discontinuity is because it is not well understood that there are significant lag times between our actions in research, development, and innovation and the consequences of those actions. We are today enjoying the benefits of investments made as far back as decades ago. Our current trajectory of falling and non-competitive investment, particularly by the business community, suggests that our future will be less prosperous than our present or immediate past unless we quickly change course. Q: This report details how flat or declining research investments by government and the private sector in the past decade threaten to erode Canada’s capacity for producing high-quality research in the future. What does this mean in practical terms for Canadians? A: This is really a continuation of the point I made in the previous question. Canada is competing in a global environment in which talent, ideas, intellectual property, technology, and advanced means of production (robotics, AI, quantum, nano, etc.) and of doing business (fintech, big data, etc.) are critically important to national prosperity. This is a different world than the past, in which our natural resources and traditional business activities enabled us to prosper. We are in danger of falling behind, and the impact to Canadians will be to live at a lower standard relative to other nations than we have enjoyed for many decades. Q: One of the main findings is that the barriers between innovation and wealth creation are more significant than those between R&D and innovation. Why does Canada have such a problem turning innovation into wealth creation? A: This is a very challenging question to which we have no simple, intuitively appealing answer. Panel members and I debated this matter at length, and we state in the report that it is likely that a combination of factors is at play. Among them, it is clear that the conditions for commercializing our innovations are less favourable in Canada than elsewhere, and often our young and exciting companies, and their talented people, leave. Why? Well, we have a small marketplace for new products and processes in Canada relative to elsewhere. Our intellectual property environment can be improved, as can the tax environment for small and growing businesses. We need to educate and attract experienced and highly talented business leaders who can grow companies to international scale. Other factors are also undoubtedly important. This question richly deserves intensive investigation. In addition to drawing on empirical evidence, it will also be important to deeply understand insights from business leaders who have succeeded, and those who have failed, to take innovative companies to global scale. Q: In 2016, Innovation, Science and Economic Development Canada (ISED) asked the CCA for this assessment. Aside ISED, who else do you think will find this report of value? A: Driving prosperity from research and innovation is important at all levels in our society, just as it is globally. Therefore I hope that the evidence we have assembled will assist many and diverse audiences. Clearly policy makers within other federal ministries, within provincial and other tiers of government, and in the public services of other countries, may find some insights and evidence of value. Similarly, members of our business community, of the academic community, and of think tanks, advocacy groups, analysts and commentators may find value. Perhaps most important from my perspective is that this report is one of a series from the CCA which, taken together, now enable much clearer understanding of temporal trends, international context, and the dynamic and quickly-shifting realities of the worlds of research, development and innovation relative to national prosperity. Continuing this work is, from my perspective, critical to being smart as a nation as we move to position ourselves more favourably in the global marketplace of IP, talent, and competitiveness. Q: Do you have any other projects or plans in the pipeline now that this report has been released and your duties as Chair are over? A: Yes, I have joined the board of a mid-size mutual insurance company (Gore Mutual) and I am assisting a small Ottawa-based technology company in their struggle to grow. These direct, hands-on business experiences are truly invigorating. The insurance sector is reacting to rapid changes from technology, regulation, and risk drivers such as climate change (fire, flood, wind) and others. And growing a small and dynamic company with a fabulous product but very limited funds and people is demanding and very challenging. My prior work as an educator, researcher, and university administrator have prepared me well for these new roles ― many of the skills are highly relevant and transferable. This work has also enriched my perspectives and awareness about the topics covered in the report; the synergy is most welcome. Retirement remains at a distance, just where I hope it will stay for some time to come.